Gary Shteyngart’s Super Sad True Love Story presents an unapologetically dystopian future and a clever satire on Western society’s rampant consumerism, ubiquitous surveillance, and obsession with youth. In the book, America is broke, and even with financial support (read: a buyout) from the Chinese government, the nation is on the brink of a catastrophic breakdown. Super Sad depicts the largely one-sided relationship between Lenny Abramov and Eunice Park. Lenny is thirty-nine years old, and desperate to take advantage of the life-extension technology peddled by his employer. Eunice Park is twenty-four, and the very definition of a Millennial—obsessed with social media and pop culture, with a degree that will likely never lead to any sort of career. 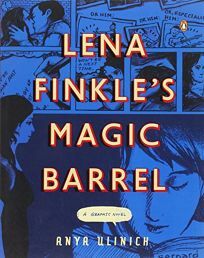 Lenny is hopelessly in love with Eunice, but the younger woman treats him with kind curiosity and a gentle sort of disdain. As Lenny’s dream of eternal life slips further from his grasp, the great American experiment experiences another devastating collapse that might just spell the end of his and Eunice’s sad love story. Whilst the book focusses on the relationships, dreams, and neuroses of its main characters, the societal collapse happening in the background is frightening precisely because of how likely it seems. 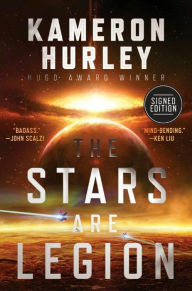 Super Sad True Love Story appears on Ginni Chen's list of seven books that belong on your social media–obsessed friend’s shelf, Molly Schoemann-McCann's list of five of the best--and more familiar--tropes in fiction, Charlie Jane Anders's lists of ten great science fiction novels, published since 2000, that raise huge, important questions and ten satirical novels that could teach you to survive the future, and Nicholas Carr's list of five notable books on the impact of the Information Age. 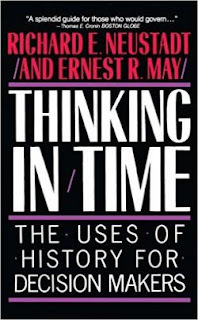 What is William L. Myers Jr. reading? Featured at Writers Read: William L. Myers Jr., author of A Criminal Defense. 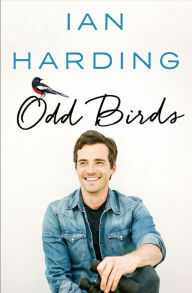 When a young reporter is found dead and a prominent Philadelphia businessman is accused of her murder, Mick McFarland finds himself involved in the case of his life. The defendant, David Hanson, is Mick’s best friend, and the victim, a TV news reporter, had reached out to Mick for legal help only hours before her death. But as the trial progresses, he’s disturbed by developments that confirm his deepest fears. This trial, one that already hits too close to home, may jeopardize his firm, his family—everything. Now Mick’s only way out is to mastermind the most brilliant defense he’s ever spun, one that may cross every legal and moral boundary. Read more about A Criminal Defense. The Page 69 Test: A Criminal Defense. Writers Read: William L. Myers Jr.
Pg. 69: Renée Rosen's "Windy City Blues"
Featured at the Page 69 Test: Windy City Blues by Renée Rosen. The bestselling author of White Collar Girl and What the Lady Wants explores one woman’s journey of self-discovery set against the backdrop of a musical and social revolution. Leeba doesn’t exactly fit in, but her passion for music is not lost on her neighbor, Leonard Chess, who offers her a job at his new record company. What begins as answering phones and filing becomes much more as Leeba comes into her own as a songwriter and befriends performers like Muddy Waters, Howlin’ Wolf, Chuck Berry and Etta James. But she also finds love with a black blues guitarist named Red Dupree. With their relationship unwelcome in segregated Chicago and the two of them shunned by Leeba’s Orthodox Jewish family, Leeba and Red soon find themselves in the middle of the Civil Rights Movement and they discover that, in times of struggle, music can bring people together. My Book, The Movie: Windy City Blues. The Page 69 Test: Windy City Blues. Pg. 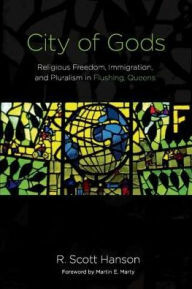 99: R. Scott Hanson's "City of Gods"
Featured at the Page 99 Test: City of Gods: Religious Freedom, Immigration, and Pluralism in Flushing, Queens by R. Scott Hanson. A synthesis of archival sources, oral history, and ethnography, City of Gods is a thought-provoking study of religious pluralism. Using Flushing as the backdrop to examine America’s contemporary religious diversity and what it means for the future of the United States, R. Scott Hanson explores both the possibilities and limits of pluralism. Hanson argues that the absence of widespread religious violence in a neighborhood with such densely concentrated religious diversity suggests that there is no limit to how much pluralism a pluralist society can stand. Seeking to gauge interaction and different responses to religious and ethnic diversity, the book is set against two interrelated questions: how and where have the different religious and ethnic groups in Flushing associated with others across boundaries over time; and when has conflict or cooperation arisen? By exploring pluralism from a historical and ethnographic context, City of Gods takes a micro approach to help bring an understanding of pluralism from a sometimes abstract realm into the real world of everyday lives in which people and groups are dynamic and integrating agents in a complex and constantly changing world of local, national, and transnational dimensions. Perhaps the most extreme example of religious and ethnic pluralism in the world, Flushing is an ideal place to explore how America’s long experiment with religious freedom and religious pluralism began and continues. City of Gods reaches far beyond Flushing to all communities coming to terms with immigration, religion, and ethnic relations, raising the question as to whether Flushing will come together in new and lasting ways to build bridges of dialogue or will it further fragment into a Tower of Babel. The Page 99 Test: City of Gods. Forewarned is forearmed. History repeats itself. You’ve heard these phrases? Good. Now read up on this part of America’s history (and present). It’s hard to speak out against something if you don’t know what it is you’re speaking out against. 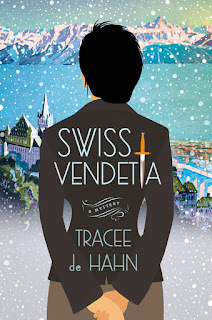 Featured at Writers Read: Tracee de Hahn, author of Swiss Vendetta. Written three decades ago by two of my former Harvard colleagues, this book draws lessons from America's successes and blunders on the world stage. 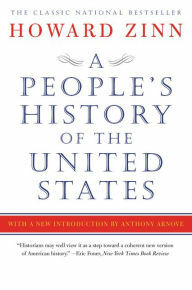 It should be required reading for anyone thinking about or practicing foreign policy. 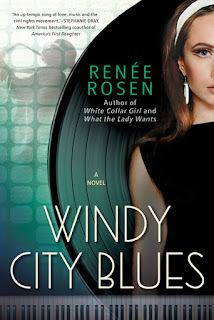 Featured at My Book, The Movie: Windy City Blues by Renée Rosen. Pg. 69: Sara Flannery Murphy's "The Possessions"
Featured at the Page 69 Test: The Possessions: A Novel by Sara Flannery Murphy. 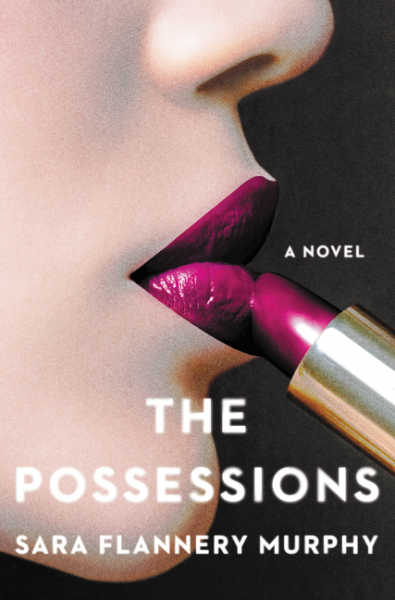 My Book, The Movie: The Possessions. The Page 69 Test: The Possessions. What is Ethel Rohan reading? Featured at Writers Read: Ethel Rohan, author of The Weight of Him. 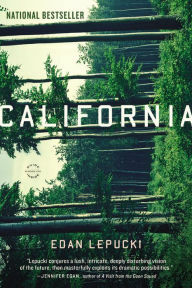 I first read Lepucki’s post-apocalyptic novel, California, shortly after it published in 2014. I’m re-reading it now because I’ll soon be In Conversation with Edan during the launch party for The Weight of Him, and also because this unforgettable book is—frighteningly—more relevant than ever. At four hundred pounds, Billy Brennan can always count on food. From his earliest memories, he has loved food’s colors, textures and tastes. The way flavors go off in his mouth. How food keeps his mind still and his bad feelings quiet. Food has always made everything better, until the day Billy’s beloved son Michael takes his own life. Billy determines to make a difference in Michael’s memory and undertakes a public weight-loss campaign, to raise money for suicide prevention— his first step in an ambitious plan to save himself, and to save others. However, Billy’s dramatic crusade appalls his family, who want to simply try to go on. 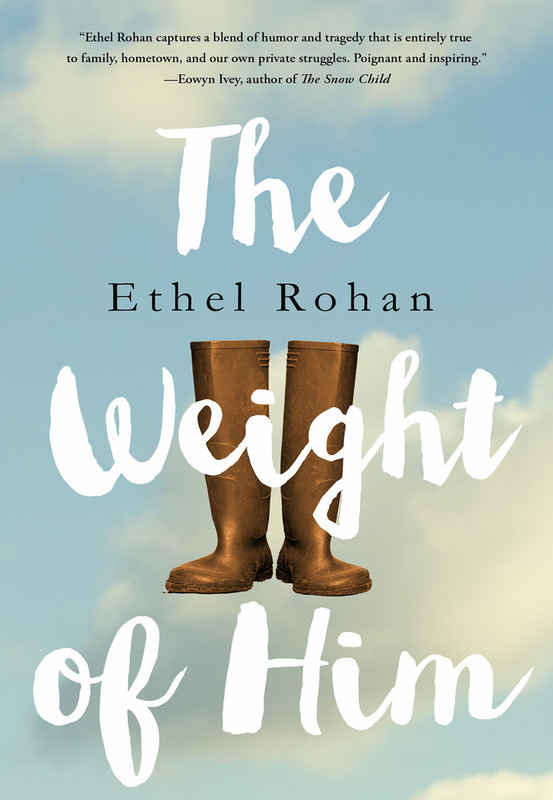 Set in rural, contemporary Ireland, Ethel Rohan's The Weight of Him is an unforgettable, big-hearted novel about loss and reliance that moves from tragedy to recrimination to what can be achieved when we take the stand of our lives. I love a good weepie. This punched me in the stomach and I’m still not over it. 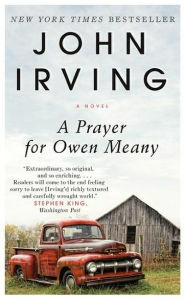 Owen is so funny and charming and Irving has such a light touch that it’s almost unbearable when tragedy comes. Pg. 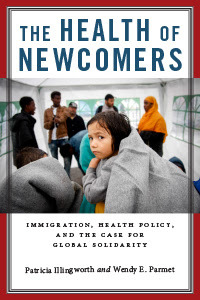 99: Patricia Illingworth & Wendy Parmet's "The Health of Newcomers"
Featured at the Page 99 Test: The Health of Newcomers: Immigration, Health Policy, and the Case for Global Solidarity by Patricia Illingworth and Wendy E. Parmet. Immigration and health care are hotly debated and contentious issues. Policies that relate to both issues—to the health of newcomers—often reflect misimpressions about immigrants, and their impact on health care systems. Despite the fact that immigrants are typically younger and healthier than natives, and that many immigrants play a vital role as care-givers in their new lands, native citizens are often reluctant to extend basic health care to immigrants, choosing instead to let them suffer, to let them die prematurely, or to expedite their return to their home lands. Likewise, many nations turn against immigrants when epidemics such as Ebola strike, under the false belief that native populations can be kept well only if immigrants are kept out. In The Health of Newcomers, Patricia Illingworth and Wendy E. Parmet demonstrate how shortsighted and dangerous it is to craft health policy on the basis of ethnocentrism and xenophobia. Because health is a global public good and people benefit from the health of neighbor and stranger alike, it is in everyone’s interest to ensure the health of all. Drawing on rigorous legal and ethical arguments and empirical studies, as well as deeply personal stories of immigrant struggles, Illingworth and Parmet make the compelling case that global phenomena such as poverty, the medical brain drain, organ tourism, and climate change ought to inform the health policy we craft for newcomers and natives alike. The Page 99 Test: The Health of Newcomers. It’s not surprising to find that The Tempest, the weirdest and most experimental of Shakespeare’s plays, has inspired a lot of SFF-nal takes. In this one, the play is retold aboard a zeppelin, floating forever above a vast modern city, holding a single prisoner—the greeting card writer Harold Winslow. He spends his time writing his memoirs, with only the voice of the woman he loved, Miranda, for company. Oh, and also the cryogenically frozen body of her father Prospero. 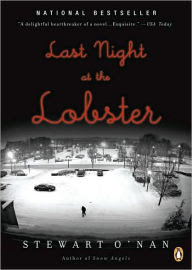 In this isolated atmosphere, Harold tells us the story of his life. This one madly mixes genres, from steampunk, to alt-history, to postmodernism, all crammed into one very sad, very weird zeppelin. Approach it like the novel of ideas and experimentation it is and you might find yourself lost in its potential. What is Daniel Lowe reading? 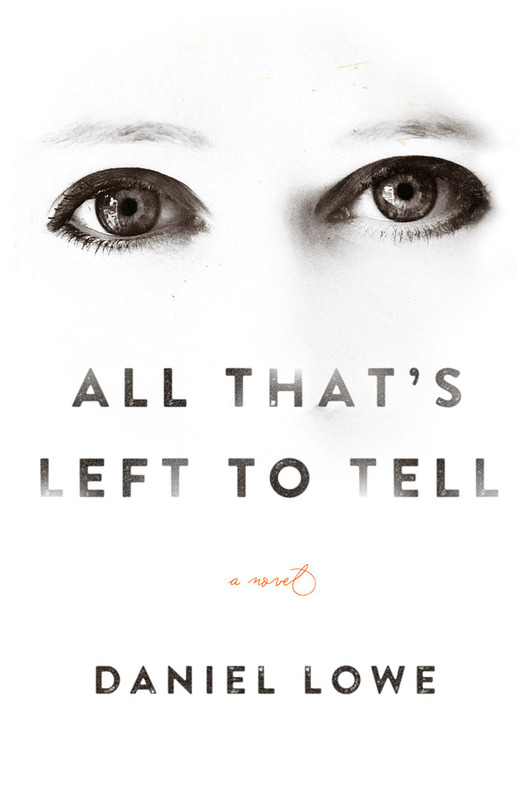 Featured at Writers Read: Daniel Lowe, author of All That's Left to Tell: A Novel. 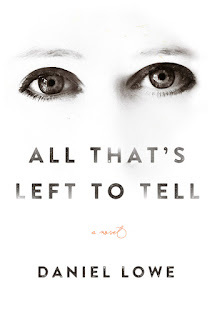 Learn more about All That’s Left to Tell. Chris Sharp's first novel, The Elementalists, introduced a dark YA series and was called one of the “Overlooked Books of 2014”, by Slate. 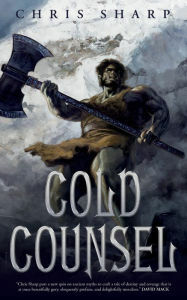 His new novel is Cold Counsel. The Hobbit appears on Charlie Jane Anders's list of top novels that are marred by a fatal flaw, Julie Kagawa's top ten list of dragons in fiction, Rebecca Jane Stokes's list of seven favorite fictional shopaholics, Derek Landy's top ten list of villains in children's books, and John Mullan's lists of ten of the best beards in literature and ten of the best riddles in literature. Pg. 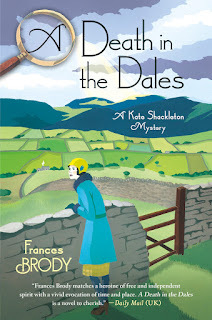 69: Frances Brody's "A Death in the Dales"
Featured at the Page 69 Test: A Death in the Dales: A Kate Shackleton Mystery (Volume 7) by Frances Brody. Learn more about the book and author at Frances Brody's website. The Page 69 Test: Dying in the Wool. The Page 69 Test: A Woman Unknown. The Page 69 Test: Murder on a Summer's Day. The Page 69 Test: Death of an Avid Reader. 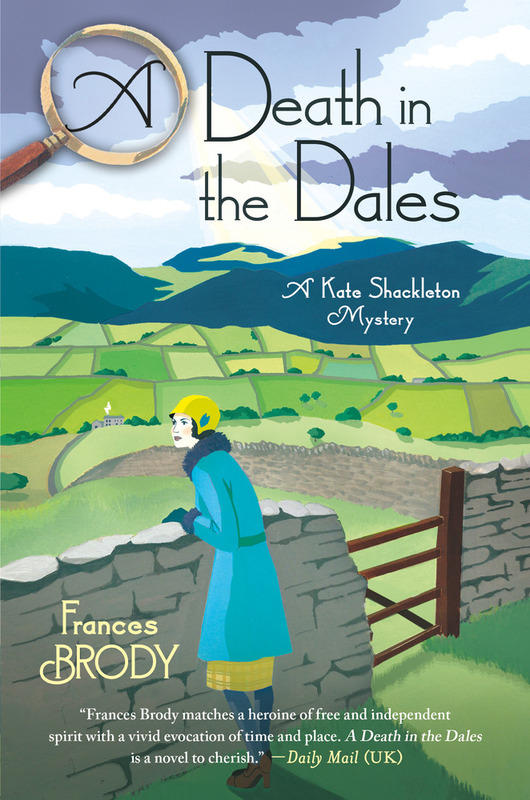 The Page 69 Test: A Death in the Dales. Pg. 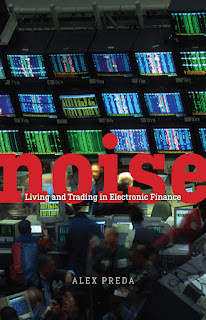 99: Alex Preda's "Noise"
Featured at the Page 99 Test: Noise: Living and Trading in Electronic Finance by Alex Preda. We often think of finance as a glamorous world, a place where investment bankers amass huge profits in gleaming downtown skyscrapers. There’s another side to finance, though—the millions of amateurs who log on to their computers every day to make their own trades. The shocking truth, however, is that less than 2% of these amateur traders make a consistent profit. Why, then, do they do it? In Noise, Alex Preda explores the world of the people who trade even when by all measures they would be better off not trading. 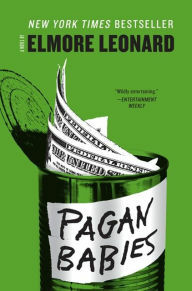 Based on firsthand observations, interviews with traders and brokers, and on international direct trading experience, Preda’s fascinating ethnography investigates how ordinary people take up financial trading, how they form communities of their own behind their computer screens, and how electronic finance encourages them to trade more and more frequently. Along the way, Preda finds the answer to the paradox of amateur trading—the traders aren’t so much seeking monetary rewards in the financial markets, rather the trading itself helps them to fulfill their own personal goals and aspirations. 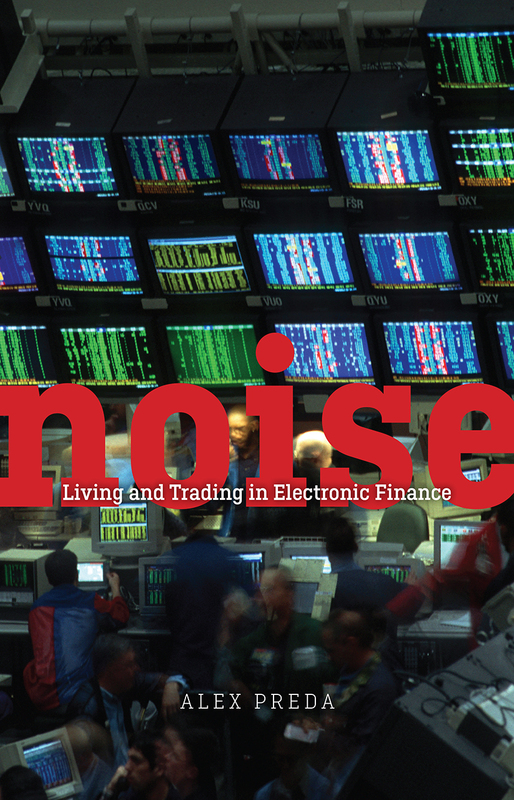 The Page 99 Test: Noise: Living and Trading in Electronic Finance. What is Sheryl Scarborough reading? 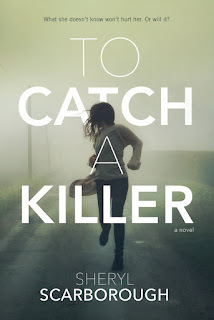 Featured at Writers Read: Sheryl Scarborough, author of To Catch a Killer. When I’m drafting a book I can’t read a lot. One reason is because of time constraints and exhaustion and the other is because I’m a bit of a mimic and I tend to glom onto a voice I especially like. Once I’m done with a draft, the book-diet is over and I become a glutton for all the books. My Book, The Movie: To Catch a Killer. The Page 69 Test: To Catch a Killer. Both of these novels involve children being pitted against each other, but they are dark mirror reflections of each other in many ways. Golding’s children turn to violence and ritualistic murder because of their natures; left unsupervised by society, they become animals. Collins’ teenagers are forced to fight by society—and, in fact, ultimately resist and drive a revolution against it, asserting their better natures over the lure of violence. Reading them both, it’s easy to imagine dropping the kids from District 11 onto the Lord of the Flies island, and within weeks having set up a functioning democracy and gotten to work building a fleet of ships so they can go conquer the world. 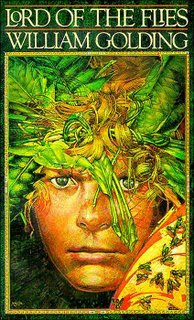 Lord of the Flies is on Brian Conaghan's list of ten favorite teen books about male friendship, Gillian Philip’s top ten list of islands in children's fiction, Janet Davey’s top ten list of schoolchildren in fiction, Frank Rich's ten top books list, Non Pratt's top ten list of toxic friendships in literature, Francesca Haig's top ten list of the greatest twins in children’s books, Shaun Byron Fitzpatrick list of thirteen favorite, occasionally-banned, YA novels, Matt Kraus's list of six famous books with extremely faithful film adaptations, Michael Hogan's list of the ten best fictional evil children, Danny Wallace's six best books list, Gemma Malley's top ten list of dystopian novels for teenagers, AbeBooks' list of 20 books of shattered childhoods and is one of the top ten works of literature according to Stephen King. It appears on John Mullan's lists of ten of the best pigs in literature, ten of the best pairs of glasses in literature, and ten of the best horrid children in literature, Katharine Quarmby's top ten list of disability stories, and William Skidelsky's list of ten of the best accounts of being marooned in literature. It is a book that made a difference to Isla Fisher and is one of Suzi Quatro's six best books. 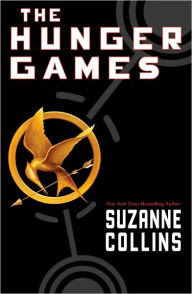 The Hunger Games also appears on Jeff Somers's top five list of dystopian societies that might actually function and top eight list of revolutionary SF/F novels, P.C. 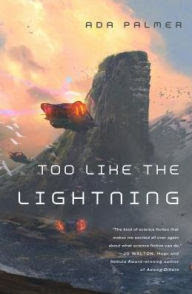 Cast’s top ten list of all-time favorite reads for fantasy fans, Keith Yatsuhashi's list of five gateway books that opened the door for him to specific genres, Catherine Doyle's top ten list of doomed romances in YA fiction, Ryan Britt's list of six of the best Scout Finches -- "headstrong, stalwart, and true" young characters -- from science fiction and fantasy, Natasha Carthew's top ten list of revenge reads, Anna Bradley ten best list of literary quotes in a crisis, Laura Jarratt's top ten list of YA thrillers with sisters, Tina Connolly's top five list of books where the girl saves the boy, Sarah Alderson's top ten list of feminist icons in children's and teen books, Jonathan Meres's top ten list of books that are so unfair, SF Said's top ten list of unlikely heroes, Rebecca Jane Stokes's top ten list of fictional families you could probably abide during holiday season and top eight list of books perfect for reality TV fiends, Chrissie Gruebel's list of favorite fictional fashion icons, Lucy Christopher's top ten list of literary woods, Robert McCrum's list of the ten best books with teenage narrators, Sophie McKenzie's top ten list of teen thrillers, Gregg Olsen's top ten list of deadly YA books, Annalee Newitz's list of ten great American dystopias, Philip Webb's top ten list of pulse-racing adventure books, Charlie Higson's top ten list of fantasy books for children, and Megan Wasson's list of five fantasy series geared towards teens that adults will love too. 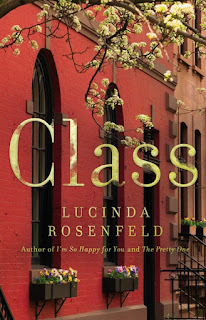 Featured at My Book, The Movie: Class by Lucinda Rosenfeld. 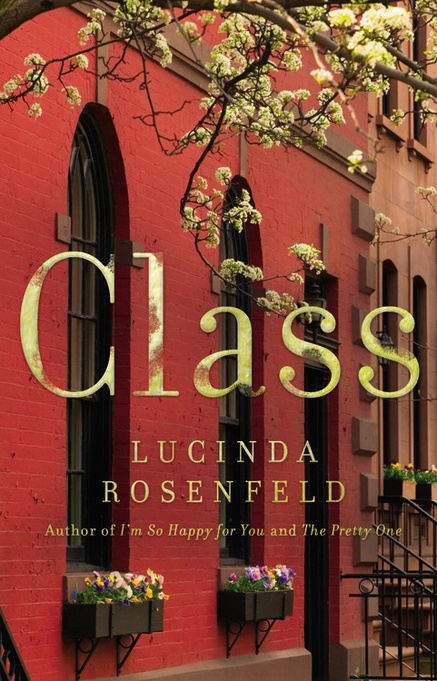 My Book, The Movie: Class. Pg. 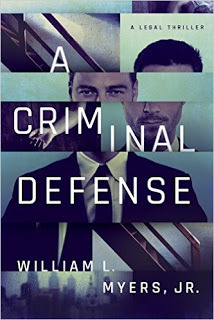 69: William L. Myers Jr.'s "A Criminal Defense"
Featured at the Page 69 Test: A Criminal Defense by William L. Myers Jr. 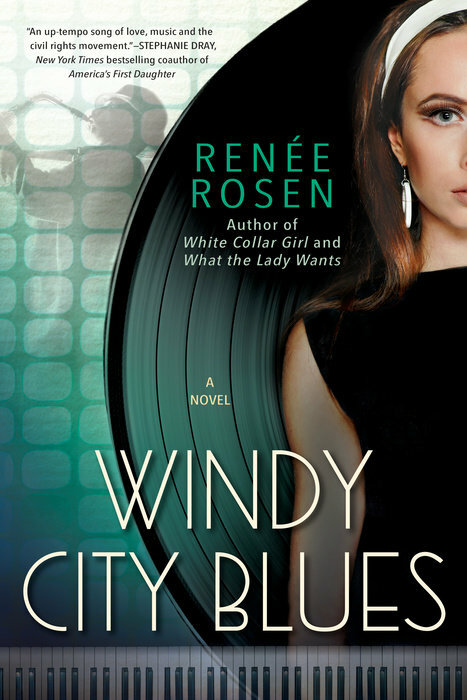 Featured at Writers Read: Renée Rosen, author of Windy City Blues. 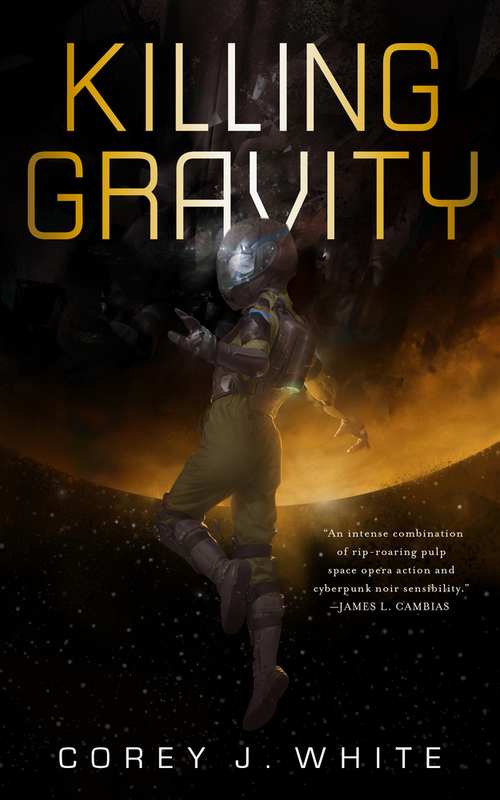 Lately a few books have really knocked my socks off so let me share them with you. Tim Walker is a freelance journalist and author based in London. From 2012 to 2016 he was the Los Angeles correspondent for The Independent. Walker's first novel, Completion, was published in 2014 and longlisted for the Impac Dublin Literary Award. 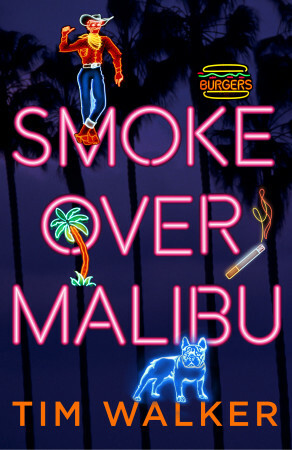 His new novel is Smoke Over Malibu. Specktor is Hollywood royalty, the son of legendary Hollywood agent Fred Specktor. 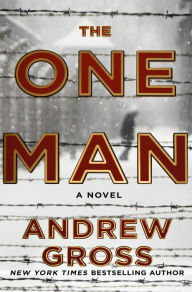 He plainly drew on that experience for his second novel, in which screenwriter Nate Rosenwald narrates the rise and fall of his father, super-agent Beau Rosenwald, against the backdrop of the New Hollywood and the blockbuster era that followed. The book’s prologue is especially memorable: Nate comes across a young and not-yet-famous George Clooney, puking into a pot plant at a beloved industry eatery on the Sunset Strip. Pg. 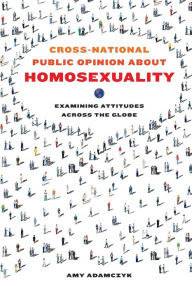 99: Amy Adamczyk's "Cross-National Public Opinion about Homosexuality"
Featured at the Page 99 Test: Cross-National Public Opinion about Homosexuality: Examining Attitudes across the Globe by Amy Adamczyk. The Page 99 Test: Cross-National Public Opinion about Homosexuality. Pg. 69: Susan Rivers's "The Second Mrs. Hockaday"
Featured at the Page 69 Test: The Second Mrs. Hockaday by Susan Rivers. 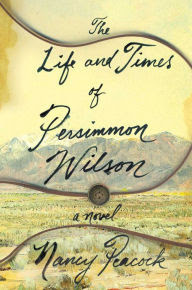 Inspired by a true incident, this saga conjures the era with uncanny immediacy. Amid the desperation of wartime, Placidia sees the social order of her Southern homeland unravel as her views on race and family are transformed. 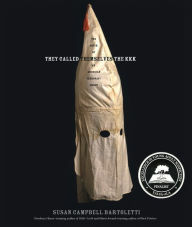 A love story, a story of racial divide, and a story of the South as it fell in the war, The Second Mrs. Hockaday reveals how that generation—and the next—began to see their world anew. The Page 69 Test: The Second Mrs. Hockaday. 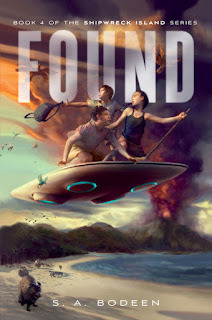 Featured at Writers Read: S. A. Bodeen, author of Found. 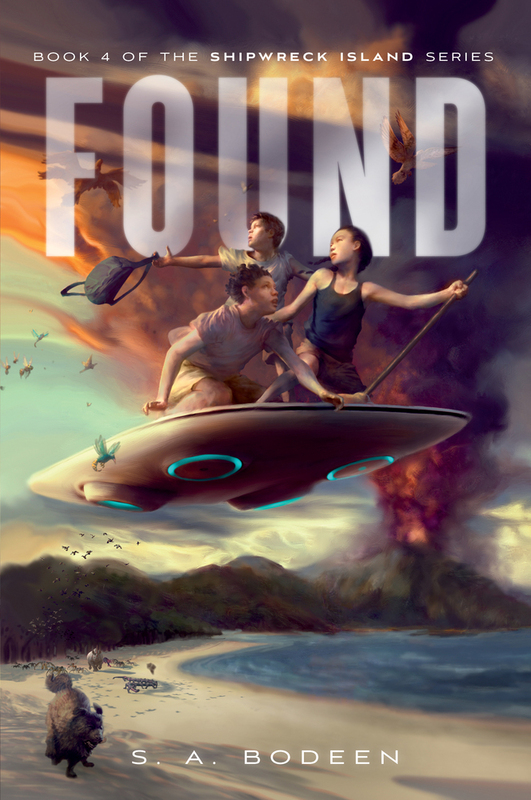 Sarah Robinson and her family intended to have a vacation adventure aboard a boat but ended up stranded on a remote and mysterious island. Along with unusual, weird creatures, they met the “Curator,” a strange boy who may be an ... alien. And then they met Cash, a girl who may hold the key to why Shipwreck Island has been kept a secret for so long. Featured at My Book, The Movie: The Possessions: A Novel by Sara Flannery Murphy. The future, like the past, is a foreign country. Or, at least, it should be. 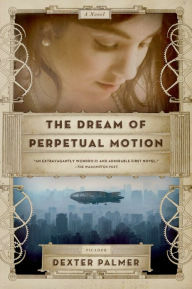 And Palmer – herself an accomplished historian – pulls out all the stops here in this incredibly rich far-future utopia designed to be as strange to us here in the 21st century as it would be to someone in the 1500’s (and it is!). Gender distinctions in this society have no real parallel to our own, and most of the world is aligned into polyamorous families and globe-spanning clans. This is a carefully designed utopia, one that could, however, unravel in the hands of a young boy who seems to have the ability to bring inanimate objects to life. Like The Female Man, this is a dense read that may take you some time to get into, but the reward of discovering what it does to your own thoughts and assumptions is well worth it. Pg. 99: Cathal Nolan's "The Allure of Battle"
Featured at the Page 99 Test: The Allure of Battle: A History of How Wars Have Been Won and Lost by Cathal Nolan. History has tended to measure war's winners and losers in terms of its major engagements, battles in which the result was so clear-cut that they could be considered "decisive." Cannae, Konigsberg, Austerlitz, Midway, Agincourt-all resonate in the literature of war and in our imaginations as tide-turning. But these legendary battles may or may not have determined the final outcome of the wars in which they were fought. Nor has the "genius" of the so-called Great Captains - from Alexander the Great to Frederick the Great and Napoleon - play a major role. Wars are decided in other ways. 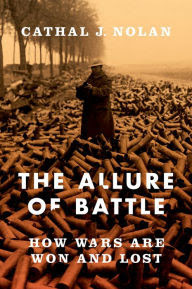 Cathal J. Nolan's The Allure of Battle systematically and engrossingly examines the great battles, tracing what he calls "short-war thinking," the hope that victory might be swift and wars brief. As he proves persuasively, however, such has almost never been the case. Even the major engagements have mainly contributed to victory or defeat by accelerating the erosion of the other side's defences. Massive conflicts, the so-called "people's wars," beginning with Napoleon and continuing until 1945, have consisted of and been determined by prolonged stalemate and attrition, industrial wars in which the determining factor has been not military but matériel. Nolan's masterful book places battles squarely and mercilessly within the context of the wider conflict in which they took place. 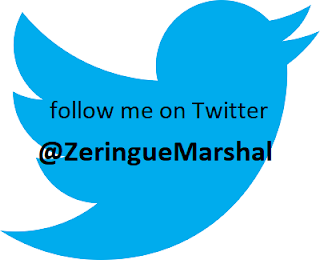 In the process it help corrects a distorted view of battle's role in war, replacing popular images of the "battles of annihilation" with somber appreciation of the commitments and human sacrifices made throughout centuries of war particularly among the Great Powers. Accessible, provocative, exhaustive, and illuminating, The Allure of Battle will spark fresh debate about the history and conduct of warfare. The Page 99 Test: The Allure of Battle. What is Susan Rivers reading? 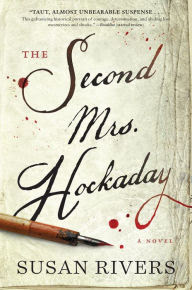 Featured at Writers Read: Susan Rivers, author of The Second Mrs. Hockaday. I'm about halfway through Arthur and Barbara Gelb's biography of Eugene O'Neill, By Woman Possessed, which is confirming my unscientific theory that all great geniuses are screwed-up human beings incapable of healthy relationships. 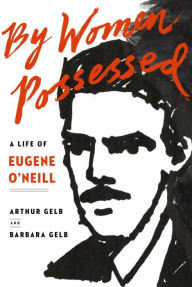 I've read other material about O'Neill, but nothing that focused so fully on his flawed marriages and his indifference --even cruelty -- toward his children, all stemming from the pathological bond he shared with his morphine-addicted mother. Pg. 69: Sheryl Scarborough's "To Catch a Killer"
Featured at the Page 69 Test: To Catch a Killer by Sheryl Scarborough. 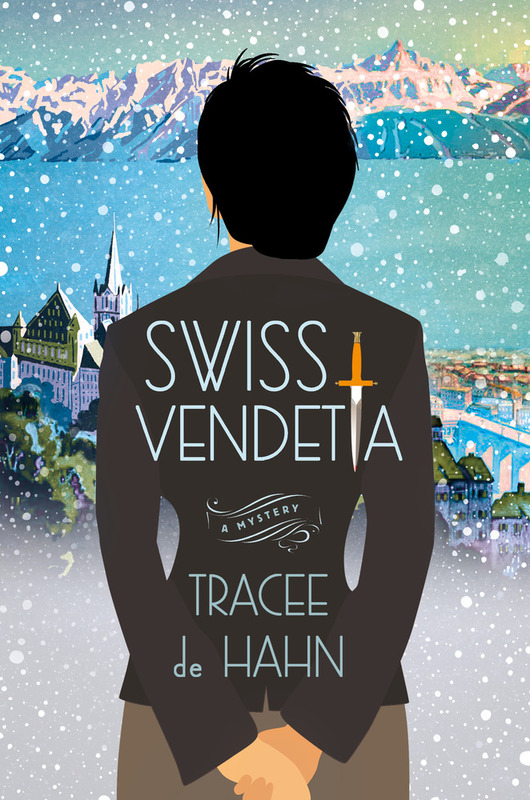 Strawser’s debut novel is one of those perfectly-plotted, fast-paced thrillers that quickly establishes an idyllic life, only to tear it down with gleeful intensity. Violet and her husband Finn were “meant to be.” and are annoyingly happy on their first family vacation with toddler son Bear. Then Finn leaves Violet on the beach, takes Bear, and leaves, without explanation, and forces Violet’s best friend, Caitlin, to assist him with the application of a little blackmail. Violet is sent spinning down a rabbit hole of revelations and secrets that expose her ideal marriage to be much darker and more complex than she could have imagined. If you’ve ever had a moment of happiness in your relationship and wondered how you got to be so lucky, Strawser’s book will make you pause and wonder if maybe you aren’t as happy as you think. What is Dan Gutman reading? 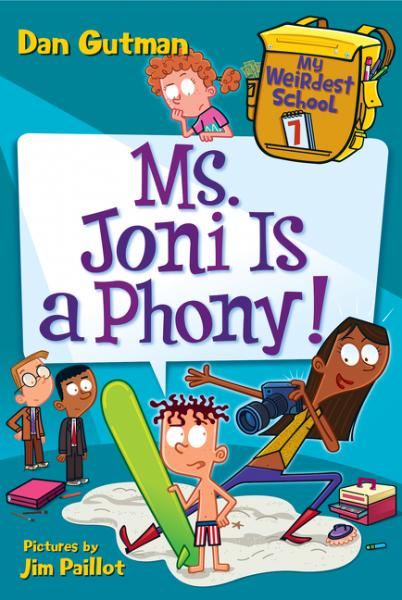 Featured at Writers Read: Dan Gutman, author of Ms. Joni Is a Phony!. In this seventh book in the new My Weirdest School series, it’s picture day at Ella Mentry School! This year, Mr. Klutz has hired a weird photographer, Ms. Joni. She keeps saying “fabulous,” and she wants to turn A.J. into a supermodel. But what happens when the Picture Day Zombie makes an appearance? Run for your lives! Perfect for reluctant readers and word lovers alike, Dan Gutman’s hugely popular My Weird School chapter book series has something for everyone. Don’t miss the hilarious adventures of A.J. and the gang. Abeer Y. Hoque is a writer, photographer, and editor. 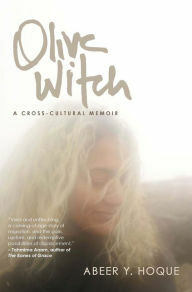 Her new book is Olive Witch: A Memoir. 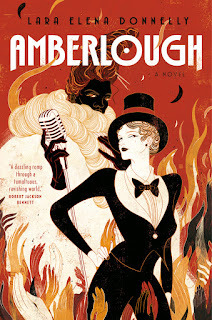 Featured at My Book, The Movie: Amberlough by Lara Elena Donnelly. My Book, The Movie: Amberlough. Pg. 99: Shobita Parthasarathy's "Patent Politics"
Pg. 69: Amy Fellner Dominy's "Die For You"
What is Jacqueline Carey reading? Pg. 69: Carola Dunn's "Buried in the Country"
What is Abby Fabiaschi reading? 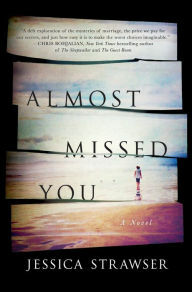 Ten top novels that begin “Dear Diary"
Pg. 69: Kim Garcia's "DRONE"
What is Ryan David Jahn reading? Five books for fans of "Hidden Figures"
Pg. 69: Abby Fabiaschi's "I Liked My Life"
What is Patricia Harman reading? What is Sana Krasikov reading? Pg. 69: Ryan David Jahn's "The Breakout"
What is Martine Murray reading? Pg. 69: Kim Garcia's "The Brighter House"
Pg. 69: Eva Stachniak's "The Chosen Maiden"
What is Mur Lafferty reading? Pg. 69: Kayla Rae Whitaker's "The Animators"
What is Thomas J. Hrach reading? Pg. 69: Patricia Harman's "The Runaway Midwife"
What is Nancy Peacock reading? Pg. 99: Cat Urbigkit's "Brave & Loyal"
Pg. 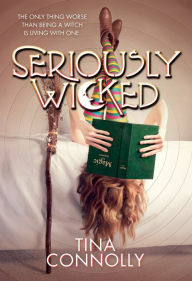 69: Ingrid Thoft's "Duplicity"
What is Kayla Rae Whitaker reading? Pg. 69: Tracy Weber's "A Fatal Twist"
What is Steven Parfitt reading? Pg. 99: Nina Sylvanus's "Patterns in Circulation"